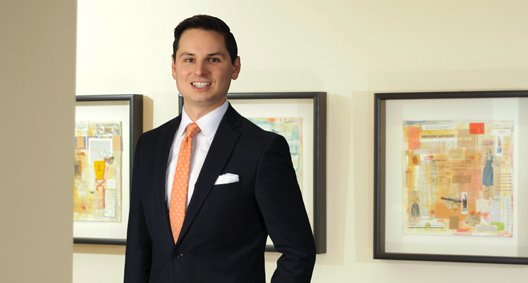 An experienced trial attorney, Cody Wigington focuses his practice on complex commercial litigation and government enforcement defense, with a particular emphasis on working with clients in the financial services and sports industries. In addition to preparing clients and their cases for trial, Cody recognizes that his clients are businesses and individuals that often have goals outside of simply prevailing at trial, and, in accord, he works to develop and execute value-added litigation strategies to help his clients reach their goals. Prosecuted claims for an underwriter of financial products against a program administrator for breach of contract, and simultaneously defended against the program administrator's counterclaims seeking more than $90 million in damages for various alleged business torts. Defended investment adviser against claims by the Federal Trade Commission alleging execution of an unlawful scheme in violation of the Federal Trade Commission Act and other statutes. Represented a major league baseball team in a dispute concerning distribution of revenues from the operation of a baseball stadium. Defended an equipment leasing company in a class action involving claims for unfair and deceptive trade practices. Defended a technology company in a class action in Texas federal court, defeating a motion for class certification and obtaining summary judgment on antitrust and deceptive trade practice allegations. Prosecuted civil RICO claims for corporate investor concerning fraudulent investment scheme involving a multi-million dollar financial product. Prosecuted claims for a fleet management company against a telecommunications company for breach of contract and bad faith conduct. Simultaneously defended a vehicle leasing company against an action to enforce a fraudulently induced contract with a vendor and prosecuted counterclaims against the vendor for fraudulent business practices. Prosecuted claims for a retiree benefit trust against a health insurance company related to the health insurance company's failure to honor a rebate agreement. Defended a technology company in a class action involving allegations of state constitution and a flawed competitive bidding process. Prosecuted claims for investor concerning failed investment scheme related to oil and gas manufacturing. Prosecuted claims for a chemical manufacturer against primary and excess insurers for failure to provide coverage for a catastrophic injury lawsuit. Advised investment adviser concerning litigation avoidance related to various subscription and partnership agreements. Defended property management firm against claims by purchaser claiming breach of Purchase and Sale Agreement. Prosecuted claims for non-profit hospital against health insurance company for systemic failure to pay patient care charges. Represented numerous loan servicers in litigation related to alleged improper servicing, wrongful foreclosure, and violations of federal consumer protection statutes. Represented a natural gas distribution company in multiple contested and uncontested matters before the Georgia Public Service Commission. Advised investment adviser on Securities and Exchange Commission enforcement matter pending against recently acquired firm. Conducted internal investigation of company to identify any violations of Foreign Corrupt Practices Act and rules promulgated by company’s regulatory body. Advised client concerning compliance with regulations promulgated by the Georgia Government Transparency and Campaign Finance Commission. Advised professional sports organization on litigation avoidance and regulatory matters related to opening new stadium complex. Prosecuted litigation on behalf of major league baseball team against corporate sponsor related to breach of multiyear license and sponsorship agreement. Served as the lead plaintiff's counsel in a case by a client against a former attorney involving 13 causes of action, including breach of fiduciary duty, breach of contract, fraud and conversion, which settled during trial. Served as lead trial counsel for a tenant in a breach of contract case against a landlord, which resulted in a favorable settlement during trial. Served as second-chair trial counsel in a government contract protest in which the incumbent contractor sought to overturn an award of contract to a competitor. Prosecuted a breach of contract case as lead trial counsel for a national fleet leasing company and obtained a favorable judgment including attorneys' fee award.